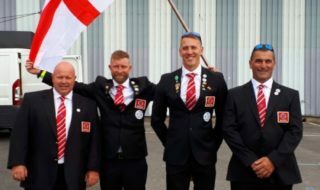 Three time world youth champion Matt Godfrey (Sensas) secured his place in the Shakespeare final with an 8lb 2oz catch of eight eels and 20 small margin caught perch from peg 60 on the Hampton Ferry stretch. Working with a 4g flat float at 14metres, Matt bait droppered less than a quarter kilo of dendra with a few casters and squatt to attract mainly small eels, the largest going 1lb 8oz. He topped up with perch up to 3oz, at 11 metres and close in on worm and maggot hookbaits. In second place on Peg 10 on the Town, Daiwa Gordon League skipper Mark Treasure caught a 5lb tench just beyond the lilies on his worm rig aimed at perch. A few eels caught caught long on a flat float completed his 7lb 9oz weight. 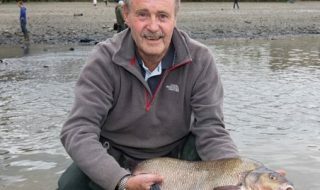 Ed Warren (Preston Innovations), with his third placing in four starts at Evesham this season, was third from Peg 40 with a tench, an eel and some waggler caught bits to weigh in 7lb 3oz. 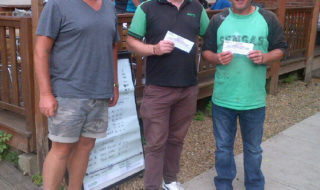 Chris Jones(Rigger Platforms) was fourth from Peg 64 with an all eel catch of 6lb 13oz.